(All photos courtesy of Rafael Fuchs) What made the show all the more effective was the loving way in which Ruben curated it. He himself being intimately familiar with many of the artists, he tells each story with such care and enthusiasm, this excitement extends into the exhibition in the way it is displayed. Sandwiching moments of grief and agony next to others that are joyous and downright comical, feels very natural and not all contrived, and gives the entire show a levity and authenticity. Each vibrant photograph might be vying to get your attention on the wall, even arguing with the one next to it, but you can see each one as it stands; as part of a whole moment of humanity in all its gritty, banal, and hilarious ways. There is something so inherently intimate, yet naggingly removed about taking someone's picture. While we smile for the camera, snap selfies of ourselves and our friends, the common photo is us trying to project that version of ourselves that we want the world to know, to see. This is the "portraiture" that we have become accustomed to and by which we are surrounded. It is rare for a photographer to capture an unguarded moment of his or her subject, and even rarer for that subject to let the photographer in. Up Close and Personal, now on view at Fuchs Projects is a phenomenal cache of such moments; moments that tell whole stories, revealing to the viewer something profoundly intimate yet elusive at the same time. I had been at the opening; a raucous and lively night filled with seemingly endless bottles of wine and people flooding through halls of 56 Bogart. 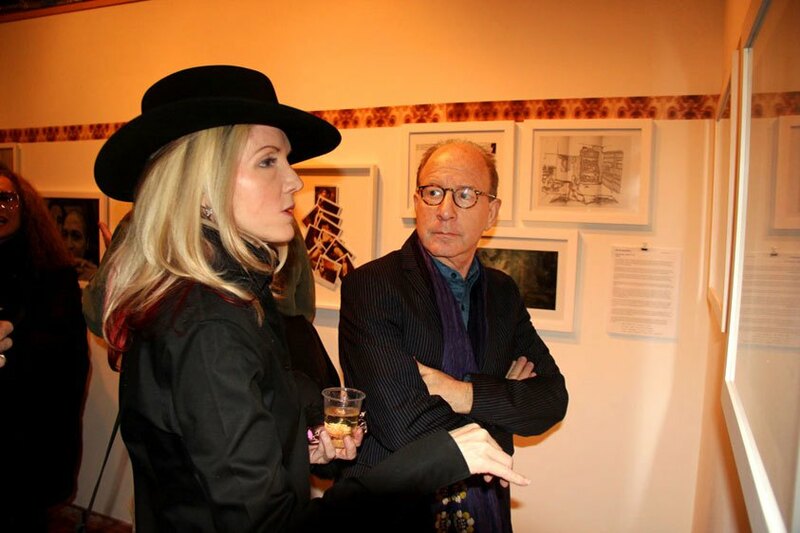 Heck, even Jerry Saltz and Roberta Smith were there! 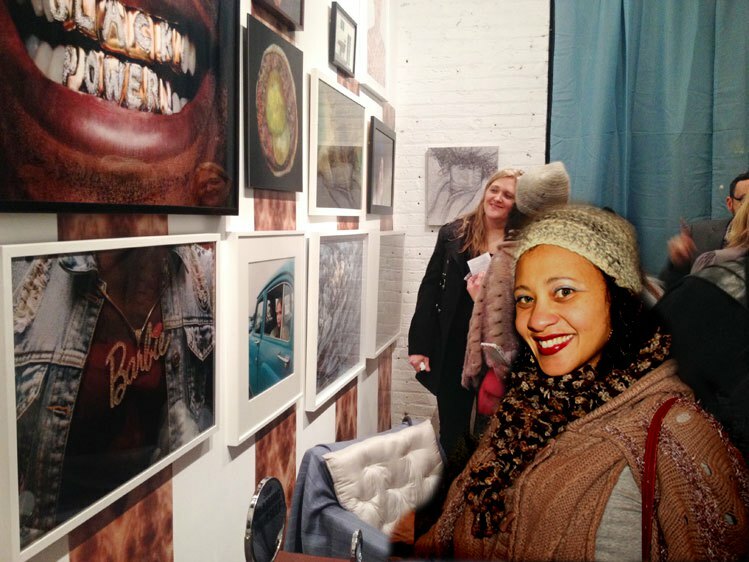 It was a great night for Bushwick, especially for Rafael Fuchs of Fuchs Projects and Ruben Natal-San Miguel, the curator of the show. With so much excitement and diversion, I didn't feel like I could really get "up close and personal," so I decided to come back to gallery the next weekend for a more intimate viewing. 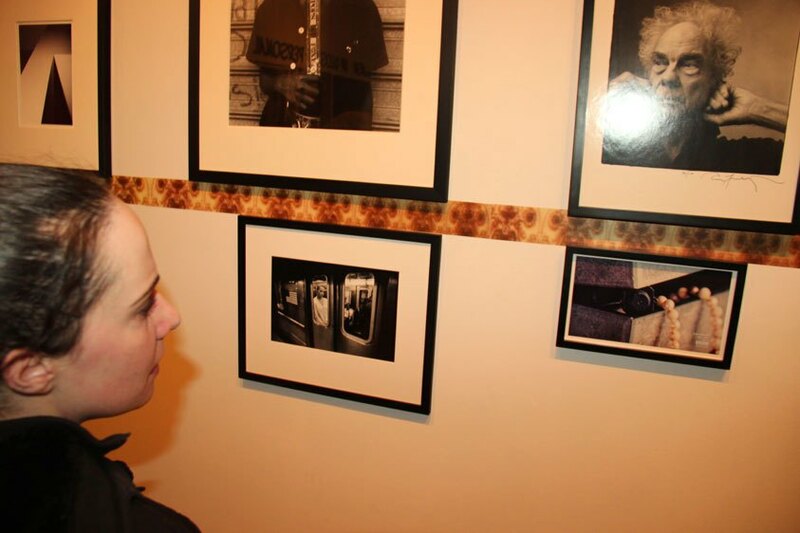 When I returned, the room was peacefully still, yet the walls were still teeming with life, as the many faces in the photographs had their true moment to shine, each with its own personality and story to tell. Walking through the show with Ruben, he told me how the inspiration for the show had come from his own series of photographs of the same name. The series, a collection of photographs that chronicled the streets of New York, is all about the closeness to your subject, even if that subject is a stranger. Some photographers don't ask permission, Ruben explained, but he always introduces himself before photographing someone. Rather than the straight on, raw street portraits we are often accustomed to, Ruben is typically struck by something about the person; like a over-stated chain, or a scar. These are the details that stand out the most in Ruben's photographs, like a synecdoche of the person. As we went around the room, Ruben shared with me each of the photographs's stories; the portrait of the artist's friend who had just discovered he was HIV positive (Adrian Chesser); the striking definitions of a building's shadow captured as intimately as the folds in a person's skin (Timothy Briner); the moment for a junkie getting the first hit (Zoe Strauss). The salon style hang of the room takes you from moment to moment seamlessly yet allowing each one to strike its own cord, like flipping through the pages of a glossy art magazine. One of my favorite pieces in the show comes from photographer Michael Wolf captures an image of a woman pressed up tightly agains the door of a subway car, wincing as she is stayed in place. Compositionally beautiful and serene, you can't help but know exactly what the woman is feeling, and the photograph successfully transports the viewer into the feeling. Without knowing her name, her life or any details at all, we know what she is thinking in that one second. Some of the most successful works in the show came places of deep emotional connection and loss. In her series Left Behind, Jennifer Loeber documents articles once belonging to her mother who passed away with found photographs of her that feature each item. 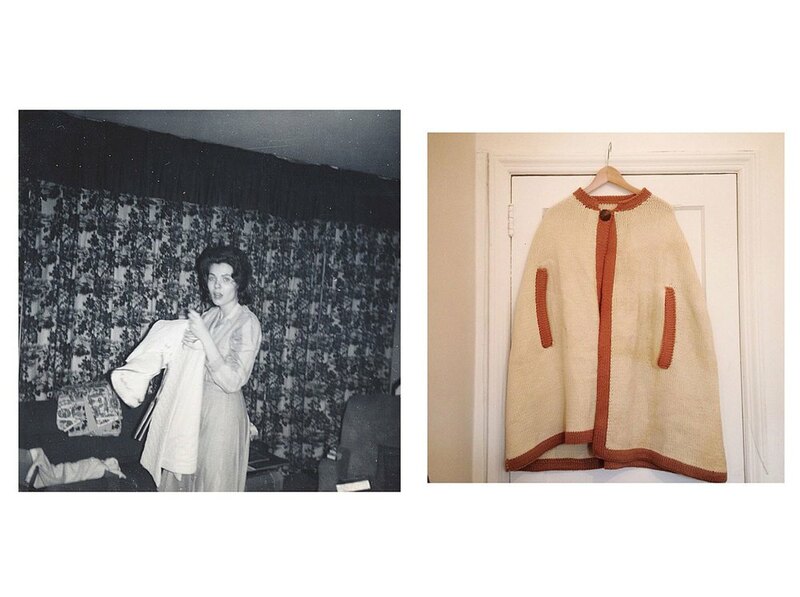 The memory of her mother is forever tied to these inanimate and prosaic objects; a half-used blush compact and a camel colored poncho possess the life of her mother, both haunting and possibly offering a source of comfort, still grasping at that life. Up Close and Personal is on view through May 13 at Fuchs Projects at 56 Bogart in Bushwick, Friday-Sunday, 1-6PM.